St. Maria Goretti is a living testament to our Lord's work in His youngest disciples, exemplified by academic excellence, spiritual formation, and compassionate service to others. Happy Sunday! I hope that you were all able to enjoy the beautiful, rain-free weather and had a restful weekend! We have an exciting, although busy week ahead at SMG. Tomorrow, our Book Fair opens in the library! Reading for pleasure unlocks the power of information and imagination and helps children discover who they are. Our Book Fair is a reading event that brings the books kids want to read right into our library. It's a wonderful selection of engaging and affordable books for every reading level. 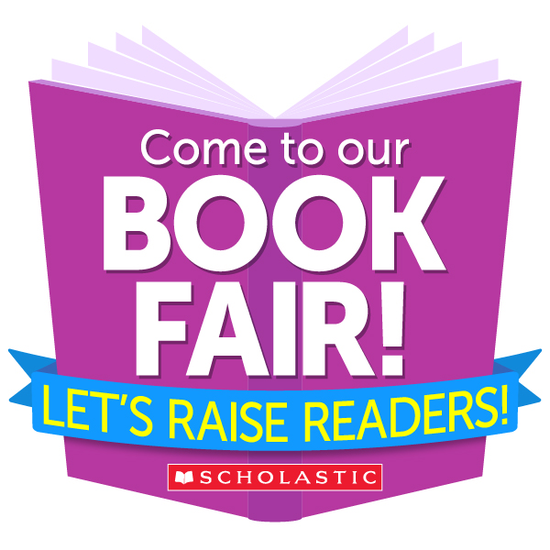 Please make plans to visit our Enchanted Forest by supporting our Book Fair! As I mentioned in my email last week, all students (and faculty) are invited to come to school dressed as a character from a favorite book. Participation is strictly optional. Those who choose not to dress in costume should wear their regular school uniform. No toy weapons as acccesories. See the Book Fair information below for details, including the times the Book Fair will be open each day. We have been informed by the City of Arlington that sometime this week, south bound traffic on Davis will be blocked, only allowing traffic heading north. The rain we have had the last couple of weeks has slowed the road construction down, and hopefully the weather this week will allow for more progress. Thank you for your patience during the construction! Finally, we look forward to seeing all of you on Thursday or Friday for Parent/Teacher Conferences. If you have not yet signed up for a conference, please do so by following the link listed below. As a reminder, we will have an early dismissal at 12:10PM on Thursday and no school on Friday to allow for conferences. 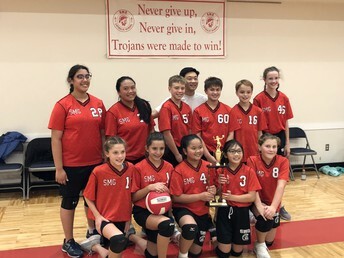 6th Grade Volleyball Team Wins Tournament Championship!! 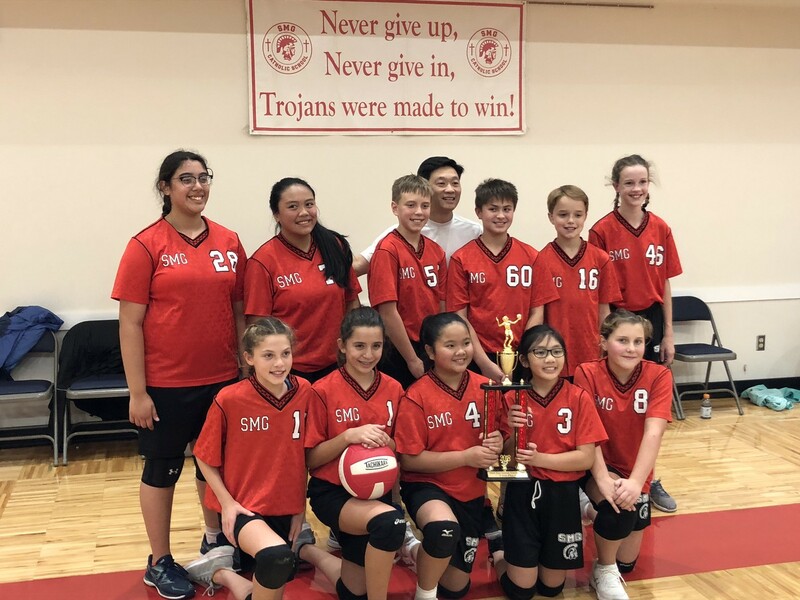 Congratulations to our 6th grade Volleyball Team as they beat the St. Joseph Knights to win the Championship Game in the post-season tournament this past Friday evening! 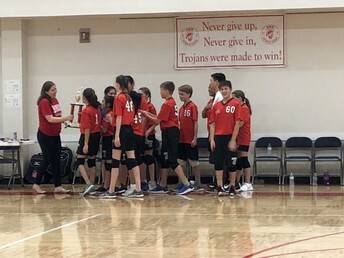 Way to go Trojans!! 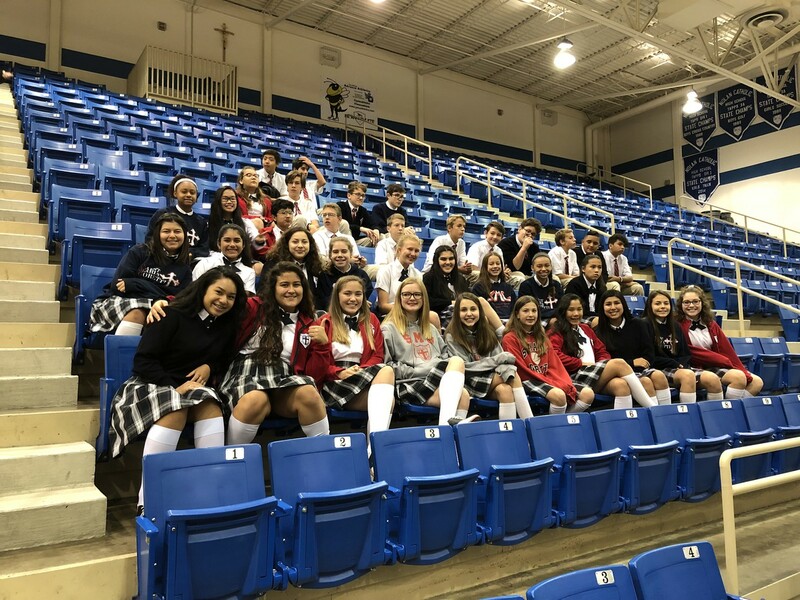 On Friday, our 8th Graders had a wonderful day at Nolan Catholic High School for 8th Grade Shadow Day, experiencing life as a Viking! Students Take 2nd Place at Bell Mission Possible Competition!! 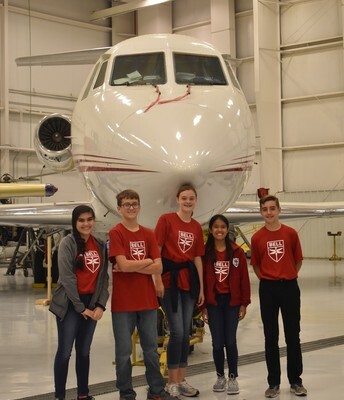 On Friday, October 12th, a team of five SMG students participated in the Bell Mission Possible STEM event and competition at the TCC Aviation Center in Fort Worth. 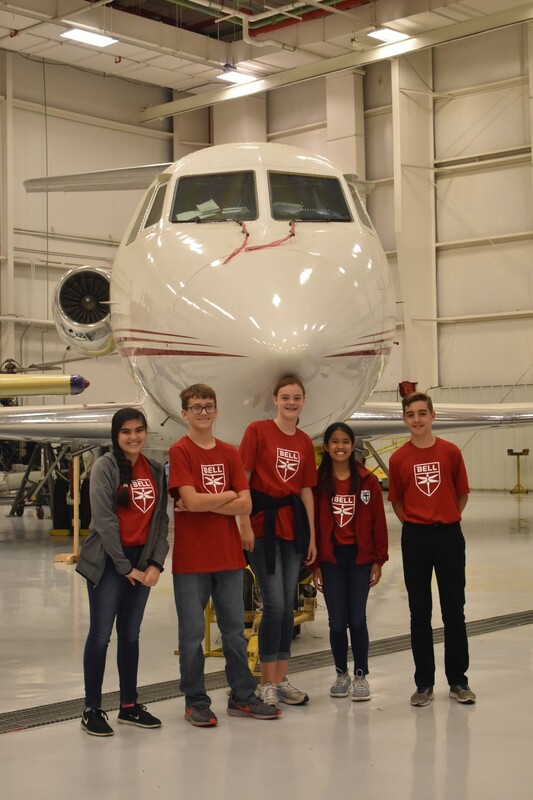 Students Chris Lewis, Emelia Marquino, Lilly Crissey, Isaac Weston, and Milana Venzor took 2nd Place in the competition, making this the second year in a row that SMG students have competed and placed in the competition! As well, students from various area middle schools got to work on some hands-on science experiments and toured the TCC Aviation Center. 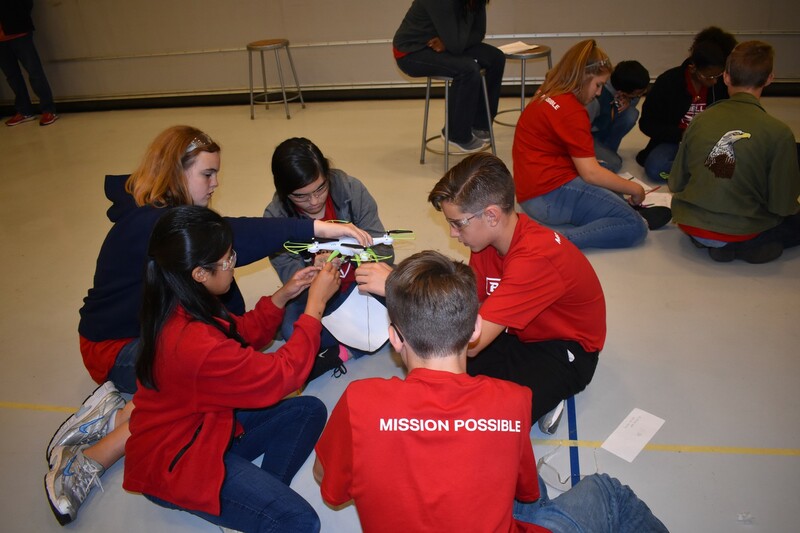 A special thank you to SMG Robotics coaches, Claudia and Gilbert Morales, for making this event possible for our students! The Book Fair is Coming to SMG!! Monday, October 22nd--Book Character Dress Up: Students may come to school dressed in costume as a character from one of their favorite books. Bring the book too and receive a chance to win in a surprise drawing! Participation in the Character Dress Up is optional. Tuesday, October 23rd--Calling all dads (or grandpas, uncles,....)...Please join your student(s) in the Enchanted Forest (library) for Donuts with Dad, 7:15-7:45AM. This is a fun opportunity for dads to spend time with their students while encouraging the joy of reading! Can't make the book fair? Shop the SMG Scholastic Book Fair online beginning now through October 30th. Have grandparents, friends, and family who do not live in the area? Please share our book fair link with them! 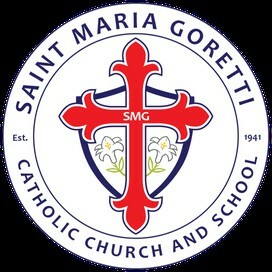 Please stop by to support SMG Catholic School! Parent/Teacher Conferences will take place on Thursday, October 25th from 1PM-7PM, and Friday, October 26th from 7:30AM-12PM. 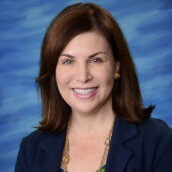 Sign-ups for conferences began last Monday and was posted on the school website last Tuesday. If you have not yet scheduled your Parent/Teacher Conference(s), please click on the link below or find it on the school website. Please only sign-up to conference with your student's homeroom teacher and if necessary, a Specials teacher. If you would also like to conference with another teacher, please email that teacher directly to request a conference time. Conferences are for parents and teachers only--students should not attend. As well, parents/guardians will receive their student's 1st Quarter Report Card, along with the results of the Iowa/CogAt tests students took in September. Report cards and test results will not be sent home to parents/guardians who are unable to attend a conference until the Monday following conferences, October 29th. Butter Braid Pastries on Sale! Butter Braid pastries are made from sweet, yeasted pastry dough, layered with 100% real butter and contain zero grams trans-fat. 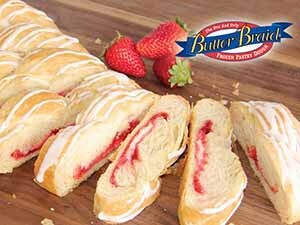 This gives Butter Braid® pastries a flaky outside and a tender, light, airy inside as each layer raises up while baking. The pastries have seven different fillings to choose from and will come frozen allowing the customer decide when to serve them. These are ideal to serve at upcoming holiday celebrations. Purpose of Fundraiser: Raise money for our Home & School Association to help our students and teachers have the necessary tools to assist them with their success in the classroom. 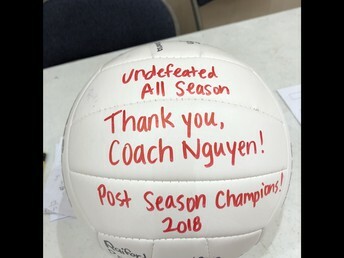 Our goal is to raise $5,000. Cost of product and earnings from product sold: Fruit filled pastries will be sold for $14.00 and we will earn a $5.50 profit for each pastry sold. The 4 Cheese & Herbs will sell for $14, and will also earn us a $5.00 profit. All order forms and checks, made payable to St. Maria Catholic School, must be turned in by Wednesday, November 1. You may drop off your order form and checks/cash at the front office or send with your student. Butter Braids will be delivered on Thursday, November 15 and more details on Butter Braid pick up will be sent a few days prior to delivery. The class with the most sales will earn a Chick-fil-a luncheon! Thank you for your continued support of your SMG students, teachers, and staff! Please contact Cathy Souders should you have any concerns or questions about our fundraiser at souders614@gmail.com. November 1st is All Saints Day, a day instituted to honor all the saints, known and unknown. Historically, Christians were accustomed to celebrating the anniversary of a martyr's death for Christ at the place of martyrdom. In the fourth century, these celebrations came to be joined in a common feast, since frequently groups of martyrs suffered on the same day. As well, the number of martyrs became so great that a separate day could not be assigned to each. The Church, however, felt that every martyr should be venerated and so, a common day was appointed for all. Around 731, Gregory III consecrated a chapel in the Basilica of St. Peter to all the saints and assigned the anniversary as November 1st. Around 830, Gregory IV extended the celebration to November 1st for the entire Church (The Catholic Encyclopedia). We invite parents/guardians to attend the Litany of Saints and always welcome you to join us for Mass. 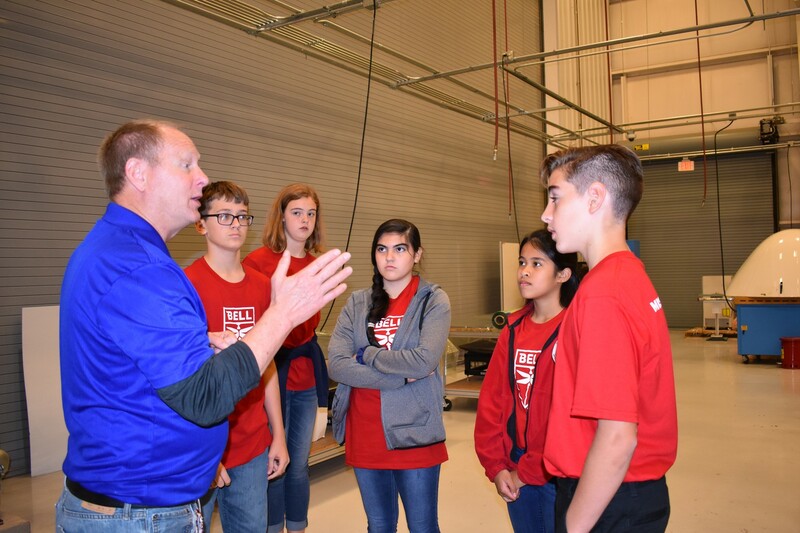 Nolan Catholic High School will be hosting the rescheduled Middle School Night on Friday, October 26th, to all students in 5th-8th grade interested in Football, the Royelles Dance Team, Cheerleading, or Marching Band. 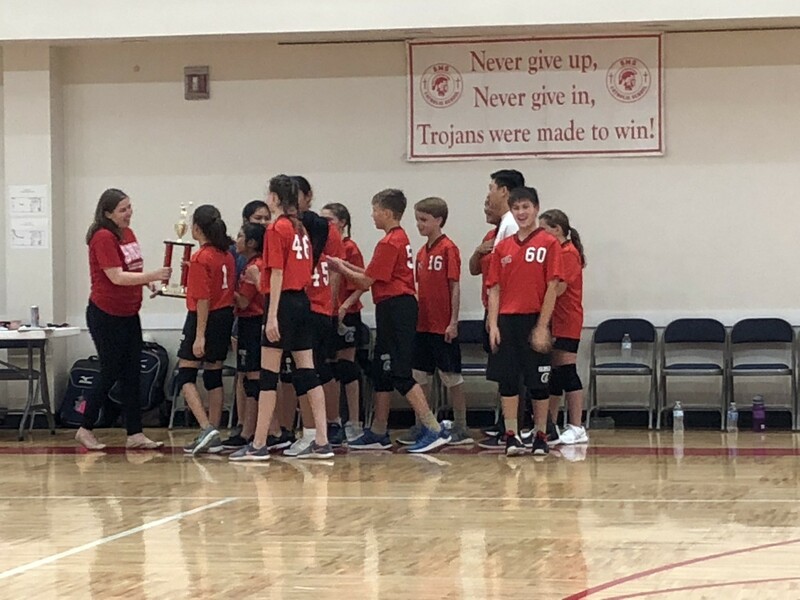 Learn more about Middle School Night here. Students interested in Cheer, Royelles, Marching Band or Color Guard will Check-In at 4:15 p.m. in the Commons. 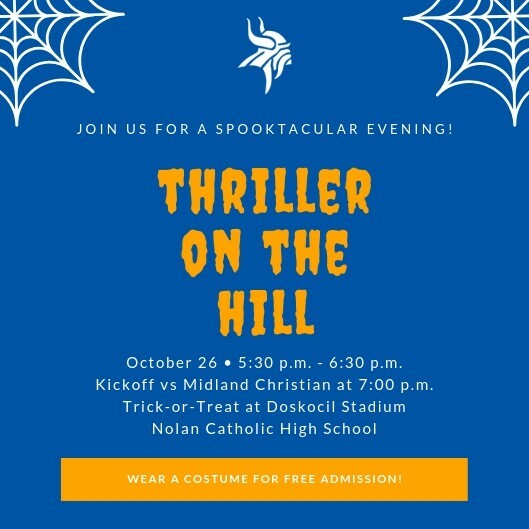 Students interested in Football will Check-In at the Press Box ticket Gate at 5:30 p.m.
We will also have Trick-or-Treating from 5:30 p.m. - 6:30 p.m. for students K-8th in a Halloween costume or School Spirit Shirt! Trick-or-Treating stations will be on the track around the field. Please Enter and Exit through the South Endzone gate near the Concession Stand. Any student in a costume or school spirit shirt (K-8th) will get Free Admission! We look forward to seeing you there! **All costumes should be appropriate for a school event. 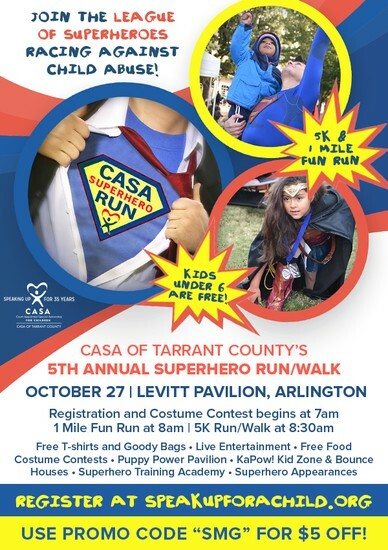 Please note that school administration reserves the right to request any person wearing an inappropriate costuming to change clothing or could be denied admittance to this event. 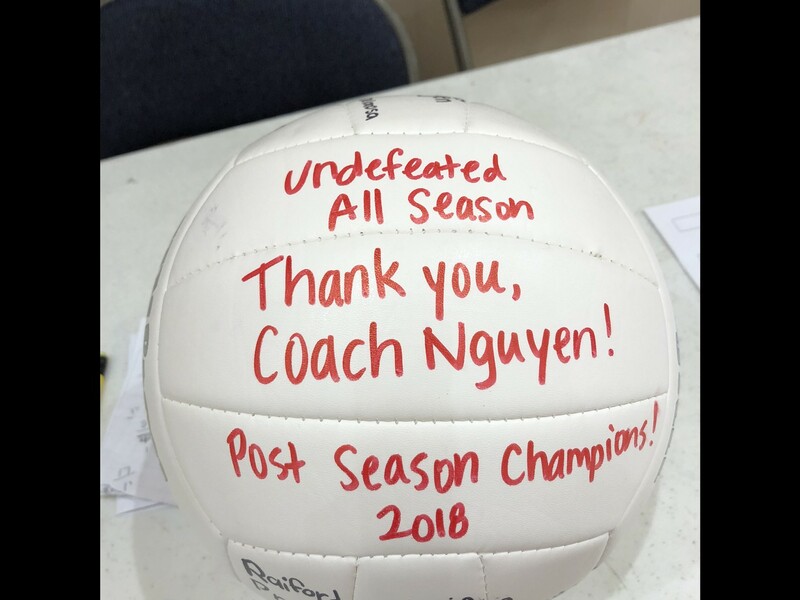 Dinner, Dance, and Auction 2019! 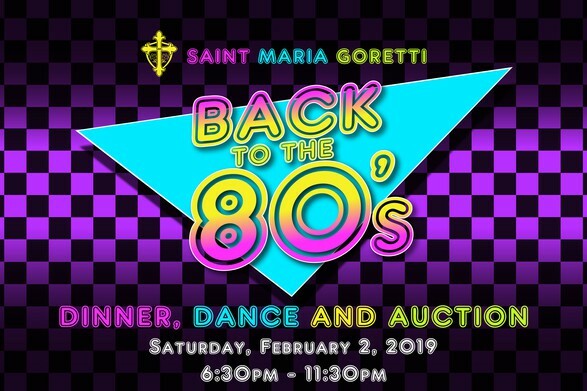 Save the Date and come Back to the 80's with us at this year's Dinner, Dance, and Auction on Saturday, February 2, 2019. Interested in sponsoring a table or donating an item for the auction? 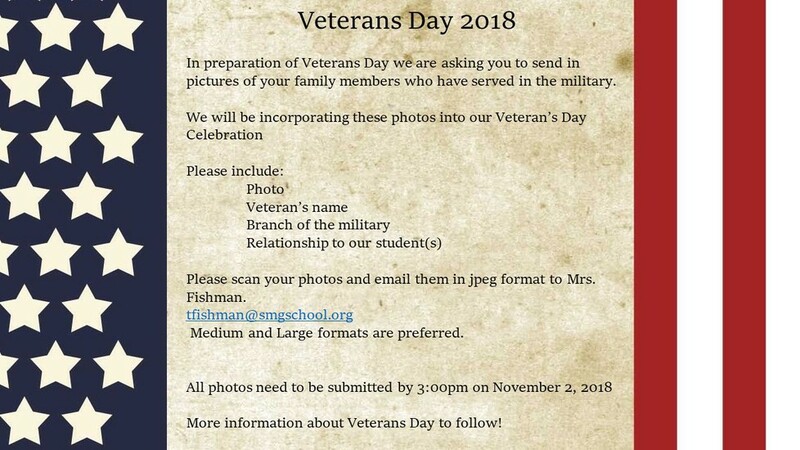 To find out how, please visit https://www.smgschool.org/dinner-dance. As well, please watch the Trojan Times and the school website for updates and ways to get involved! Thursday, October 25th: Early Dismissal @ 12:10PM - SMEED will be open until 6PM.